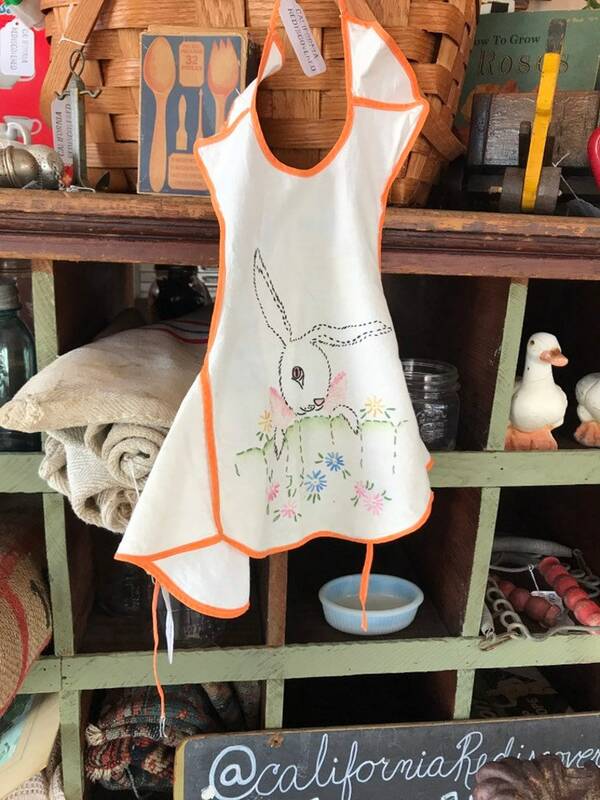 Sweet vintage children’s apron. Embroidered design, orange trim. Some small stains, hardly noticeable and look like they could be washed out. Good condition. See photos.